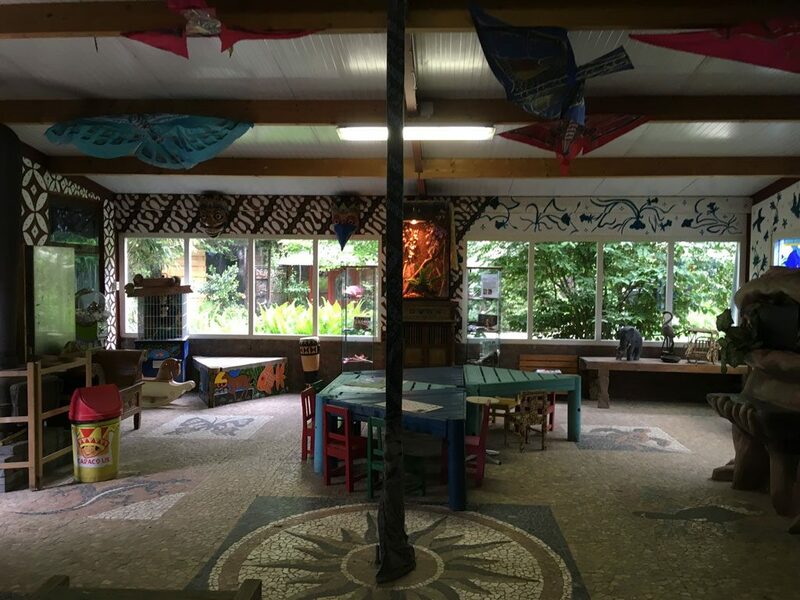 In May I gave the Children’s expedition room Rumah Exposisi Madura at Animal park Taman Indonesia a make-over by creating a Batik mural on the walls and re-decorating the room. The mural starts with typical patterns that were worn by royalty in Yogyakarta and Solo on Java in a sogan, brown, colour palette. It continues into a motif with lotuses and then Batik Buketan, a pattern after Dutch influence still populair today in Pekalongan. After that in red batik motifs from Lasem and Tuban with a more Chinese influence. In the Children’s expedition room kids can follow workshops, colour in colouring pages with Batik motifs, which I also made. They can dress up in traditional wear from Indonesia and make a Batik Statement. And the Batik spin also returned to the space!